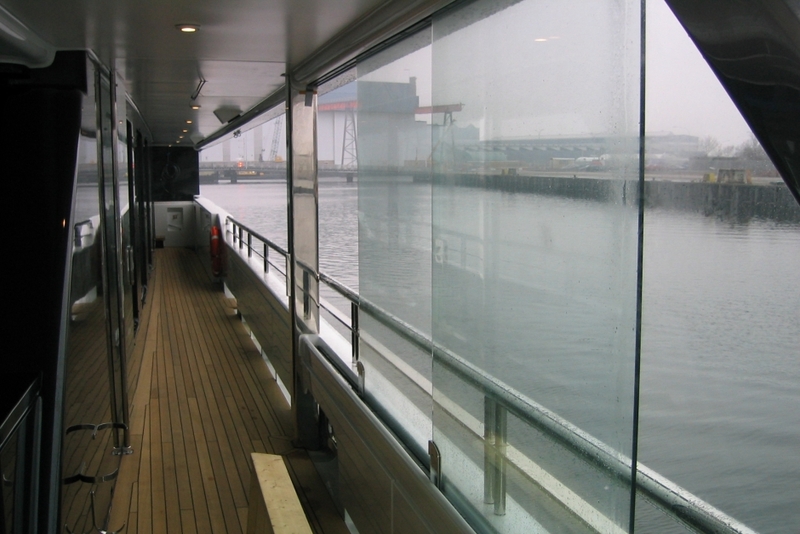 Beekmans has extensive experience in a wide range of custom-made windbreakers in curved glass and composite materials. Options include door springs, sliding panels on the bulwark and hinged glass panels against the superstructure. You can count on our world-renowned expertise from the initial design stages onwards, and trust that your windbreakers will be custom produced to your exact specifications.